Vinnie Vincent: "He Reduced My Music To The Level Worse Than A Local Bar Band" - Welcome To All That Shreds Magazine! 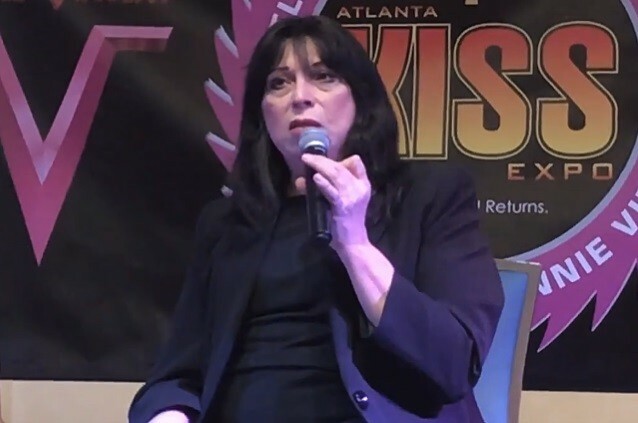 Vinnie Vincent made his first public appearance in nearly 20 years at the KISS expo last weekend. Vinnie discussed the rumors of him being fired from his band and his not so kind remarks about Mark Slaughter without naming him. Saying, Mark Slaughter has no talent is preposterous. Mark has spoken positively of Vinnie in recent interviews. One should listen to the song “Burning Bridges” off Slaughter’s Stick It To Ya record to get a glimpse of how Mark felt without actually naming Vinnie.